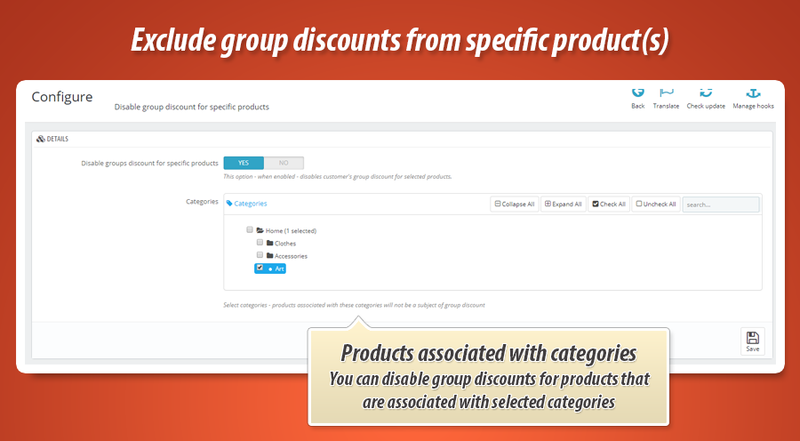 With this module you can disable group discounts for specific products. This means that price of selected products will not be a subject of discount that you can set for selected group of customers. Plugin allows to set specific products based on associations with categories. 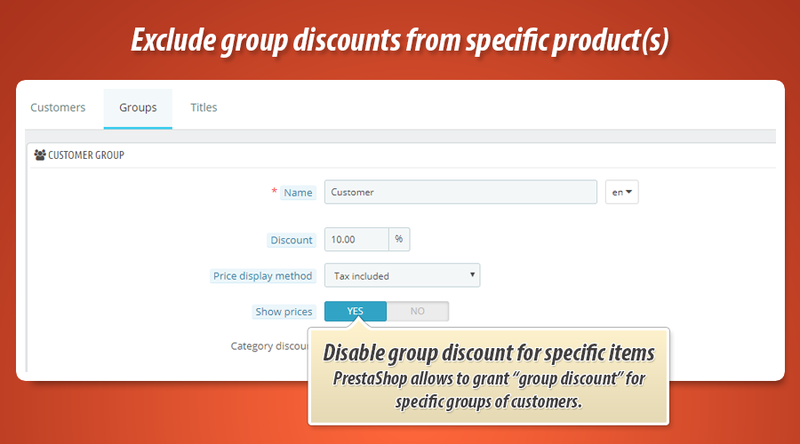 As you already know - PrestaShop has feature to define groups of customers. 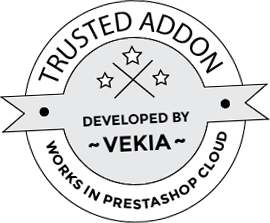 Each group can have own unique discount value that will be applicable to your shop's products catalog. In some cases this feature is really helpful, but sometimes it is necessary to exclude selected products from this kind of discount program. By default feature like this - unfortunately - does not exist in PrestShop. This is why we decided to build this addon. 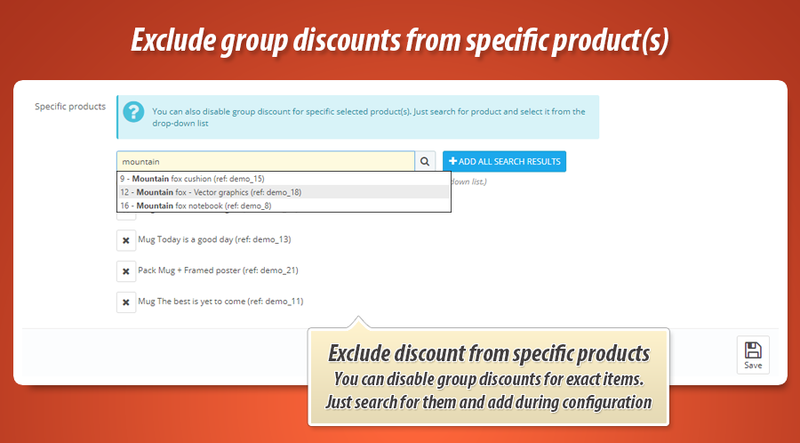 WIth this module you can point products (on module configuration page) that will be excluded from "group discount" program. This means that price of these products will remain untouched even if logged customer will be associated with group that has 'group discount'.